A good way to pass over an Attack day or a PP day. 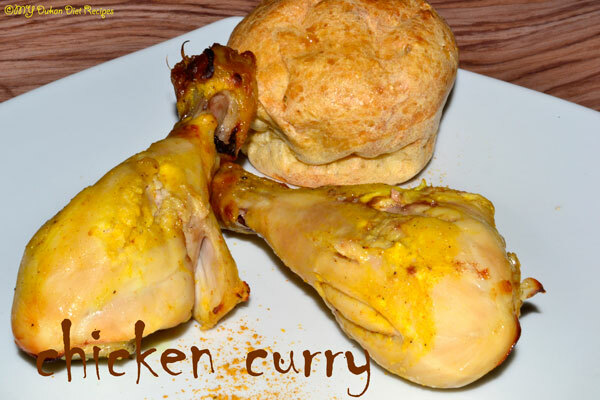 Just taste the chicken curry dukan style recipe. 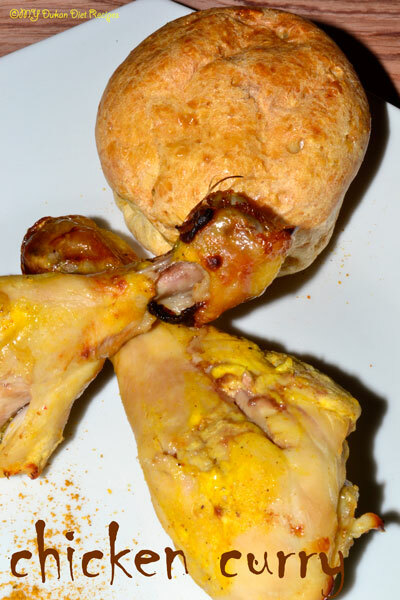 Remove skin from drumsticks first, and then cut them in several places. Lay the drumsticks in a bowl and sprinkle them with lemon juice. In a separate bowl mix the yogurt, curry, garlic, salt and pepper and stir to obtain a smooth paste. Pour this on drumsticks and mix it and then let it soak in the refrigerator for 6-7 hours, turning pieces of meat 2-3 times during this time. After that, soak and remove the surplus of the composition and then put them on a grill or in a pan on baking paper in the oven heated to 180 degrees. Let it cook in the oven for about 30-40 minutes. If you are on PV day or consolidation phase just eat the chicken curry with some vegetables.